Nissan's new low-cost Datsun cars will be based on a Lada, executive vice president Colin Dodge said. "Datsuns will be built off the new Lada Kalina platform," Dodge, who is Nissan's top executive for Europe, told Automotive News Europe. The cars will use a modular platform with shared elements such as braking and fuel systems as well as steering mechanicals, Dodge said. However, he stressed that Datsuns would differ visually from the Russian subcompact. "The upper body and interior will be completely different, You won't notice it as a Lada," said Dodge, who will hand off responsibility for Africa, Middle East, India and the European region to Trevor Mann, effective Jan. 1..
Nissan will sell its revived Datsun brand in Russia, India and Indonesia starting in 2014. 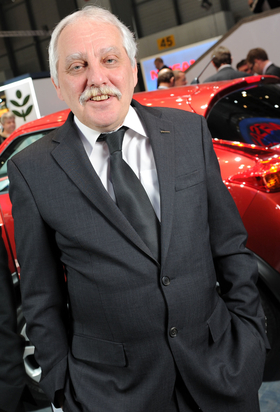 The Japanese automaker considers Datsun key to its expansion into emerging markets. Head of Datsun Vincent Cobee told Automotive News Europe that the brand will launch two models in the first year with a third arriving in 2015. The cars will be first shown toward the end of 2013. Cobee declined to reveal bodystyles for the car but the Datsuns are likely to follow what Lada is doing with the Kalina, which is offered as a hatchback and sedan. Earlier this month, the Wall Street Journal cited sources including Nissan CEO Carlos Ghosn as saying the target starting price for Datsuns is $3,000 (2,300 euros), which would make them competitive again low-cost Chinese cars. For Russia, Datsuns will be built alongside Ladas and Nissan's new Russia-only Almera sedan at AvtoVAZ's factory in Togliatti, which is about 800km (500 miles) southeast of Moscow. Earlier this year, Nissan and French alliance partner Renault announced that they planned to invest about $750 million to get a 67 percent stake in a new joint venture that will hold a 74.5 percent share in AvtoVAZ. Russia's largest automaker produces the Lada brand, which accounts for nearly 20 percent of all vehicle sales in the country. The transaction is due to be complete by 2014. Nissan plans to more than double sales in Russia from about 170,000 this year to about 400,000 by 2016. "Russia is very important to us," Dodge said. "The way the currency is as strong as it is at the moment, it could be a very lucrative market." Datsuns sold in India and Indonesia are expected to be built locally in those markets. Earlier this year, Renault and Nissan expanded their joint factory in Chennai, southern India, to increase capacity to 400,000. The plant already makes the Micra subcompact for Europe. In March, Nissan announced it would boost output of its Indonesia factory in Cikampek, near Jakarta, to 250,000 annually by 2014.